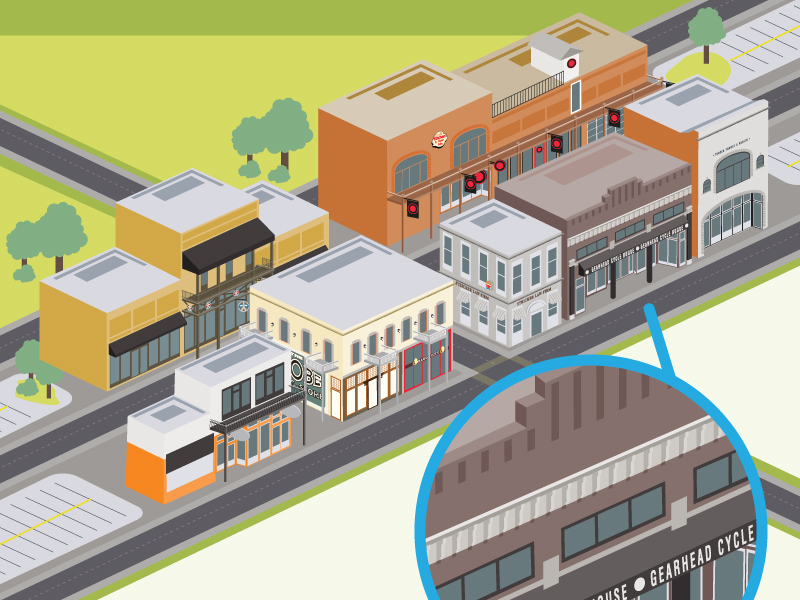 Tiny illustrated versions of some of the most well-known buildings in our Downtown area. Illustrated as a small part of a large infographic, annual report at 12″x18″. 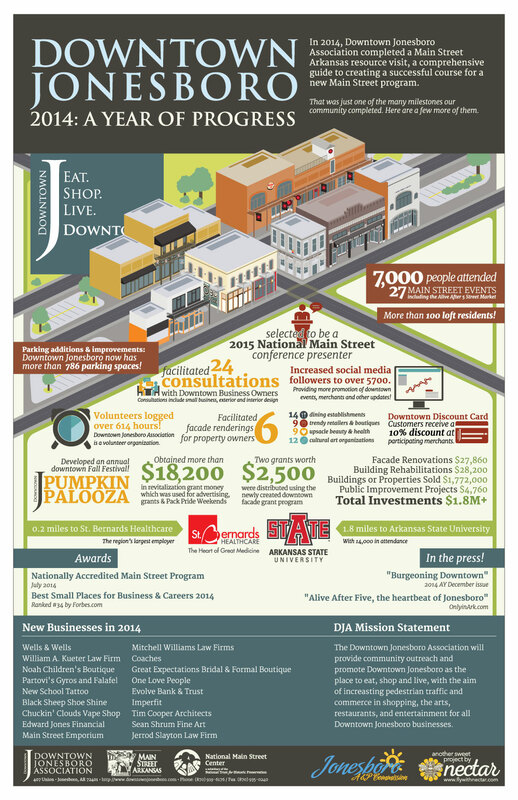 In addition to the poster, collateral and a keynote were created for a presentation at the 2015 Main Street Now Conference. Copyright © 2018, Steven Trotter. All Rights Reserved.